Our second concern relates to data access. We commend the journal's requirement that all molecular data be publicly available, but we believe the policy on sharing other types of data should be improved. The current language does not guarantee data will be made available, does not speak to the terms of data licensing, nor describes a course of action if a request for data is not fulfilled. The criterion of "appropriate scientific use" is also vague: Would reuse of data for educational purposes, for example, meet that criterion, and who would make that decision? Open data aids in verification and replication of results, creation of new analysis tools, and can "fuel new discoveries". The value of open data has been recognized by the Allen Institute for Brain Science, the BRAIN Initiative, and the Human Brain Project. Immediate sharing of all data types in an open repository (preferably under CC0) should be a requirement, unless prohibited by law (e.g., privacy laws). Several flexible outlets, such as Figshare and DataDryad, are available that make this easy and cost-effective. Finally, while we commend eNeuro's commitment to transparent peer review, we worry that only publishing a synthesis may sacrifice the richness inherent to the review process. We believe the neuroscience community would be better-served by having access to the complete reports from reviewers, as offered by PeerJ, several Biomed Central journals, and others. Reviews should also be licensed CC BY to allow for reuse in teaching materials, for example. Reviewers can be provided a mechanism to communicate confidentially with editors, removing the risk associated with making the full reviews publicly available. Reviewers should also be given the opportunity to sign their reviews for added transparency and to receive due credit for their work (e.g., through Publons). 5. Publishes full individual reviewer reports (CC BY licensed) alongside each article. Tennant, J. P., Poisot, T., Kubke, M. F., Michonneau, F., Taylor, M. P., Steel, G., An quetin, J., Coyte, E., Schwessinger, B., McKiernan, E. C., Pollard, T., Eckert, A., Allen, L., Chawla, D. S., Silva, E., Gardner, N., Cantley, N., Dupuis, J., Pikas, C., Buckland, A., Teytelman, L., Faulkes, Z., Gay, R. J., Brett, P. T. B., Eklund, A., Bjšrk, J., Gunn, W., Desjardins-Proulx, P., Nicholson, J. M., Edmunds, S., Ray Wilson, S., Buck, S., Aksoy, B. A., Fatima, N., Mounce, R., Piwowar, H., Thirumalai, A., Priem, J., Aldern, C., Hanwell, M. D., Marhaver, K. L., Roberts, D. M., Hole, B., Grossmann, A., Vaux, D. L., Murtagh, J., Carter, A., Holcombe, A. O., Aleman, I. T., Molloy, S., Lamp, J., Todd, M., Seneviratne, A., Guidotti, G., McArthur, J., Grohmann, C. H., Leeuw, J. d., Choi, J. H., Priego, E., Pasley, B., Konkiel, S., Hellen, E. H. B., Levy, R., Coxon, P., Pai, N. P., Carroll, D., D‡vila, J., Herrera-Valdez, M. A., Alperin, J. P., de Ruiter, J. P., Chen, X., Hatherill, J., Mullen, K., Bekinschtein, P., Groom, Q., Meijer-Kline, K., Gatti-Lafranconi, P., Hollister, J., Coin, L., Choi, M., Patterson-Lomba, O., Ball, R., Swan, D., Curry, S., Noyce, A., Ward, J., Meghreblian, B., White, E. P., Mulcahy, S. R., Fausto, S., Barba, L. A., Trollope, E., Beckett, S., Steen, A. D., Sarv, M., Ross, N., Amir, E., Eve, M. P., Cecchi, F., Colditz, J. B., Spear, P., Menon, M., Clapham, M., Broman, K. W., Triggs, G., Crick, T., Marrone, D. F., Kraus, J., Buyske, S., Simpson, G., Morgan, C., and Woo, K. 2014. "Open Letter to The American Association for the Advancement of Science." 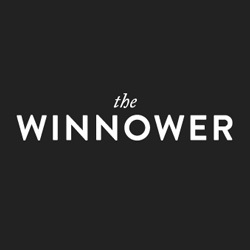 The Winnower no. 1:e140813.35294. doi: 10.15200/winn.140813.35294. We received your letter regarding eNeuro, the new open-access journal from the Society for Neuroscience. In the ever-changing environment of scientific publishing, we appreciate your interest in the issues relating to launching an online-only journal. As we move forward with this new SfN effort, we are committed to taking into consideration all of the many facets of online publishing and how they affect the audiences concerned: the general public, scientists, authors, and the field. With that in mind, we appreciate your letter and its contributions to the dialogue about eNeuro, and to the broader discussion of scientific publication in the digital age. Register today to attend Neuroscience 2014 in Washington, DC - the premier venue for neuroscientists to present emerging science, learn from experts, advance careers, and experience much more. There is no real content to this letter whatsoever. They might as well have just written "thanks."